Happy Almost Halloween! For older children Halloween is all about testing their courage with haunted houses, ghost stories, and gory costumes. But, for younger children, it is all about the costumes. “What are you going to be?” is the chief question in the days leading up to Halloween. So, with younger children begin by asking this question and hearing about their plans. Some children will have known for weeks “what I’m going to be.” Others will still be deciding. A few will not have given it a thought. After hearing about costume plans, address the whole group with “something I want you to remember on Halloween.” Tell them that no matter what costume they wear, you want them to remember that they are always THEMSELVES. They are God’s loved children. Speak briefly of the fun of wearing a costume that makes them look like someone else. Remind them that they are still THEMSELVES. Tell them to remember that AND to act like God’s loving children every minute of the day. Remember to include Halloween in the church’s prayers with prayers for safety for Trick or Treaters and those who dare haunted houses. Also pray that all will remember to act like the children of God they are behind their masks and costumes. Go to Spooky Halloween Organ Councert and Tour and A Book for Halloween and Other Scary Days for two more Halloween ideas. I found only one Halloween connection to today’s texts. See it in Psalm 84.
u Maybe the best connection for children is the visions and dreams promised in verse 28. Identify dreams as possibilities and ideas about what could be. Martin Luther King’s “I Have A Dream” speech illustrates the importance of a dream in shaping life for both individuals and communities. Read at least one of King’s dreams and note ways we are doing better now than we were when he said them. Explain that the dream words become a way to measure how close we are getting to the dream. According to Joel such dreams are gifts from God and therefore should be valued and worked with. 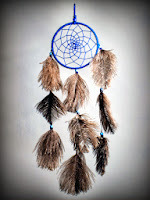 u Display a Native American dream catcher or a picture of one. Describe its use as a dream sorter. Bad dreams are supposed to be caught in the web. Good dreams slip through. We have to sort our dreams, keeping only the truly good ones. Encourage children to sort their dreams with stories of dreams you have had during your life, some of which you have set aside (I dreamed of being a ballerina, but set it aside when I realized I was way too tall.) and other dreams which you have held for years (I share the Habitat for Humanity dream of a decent house for every person. It hasn’t come true yet, but I keep working with other hoping it will one day be true.). 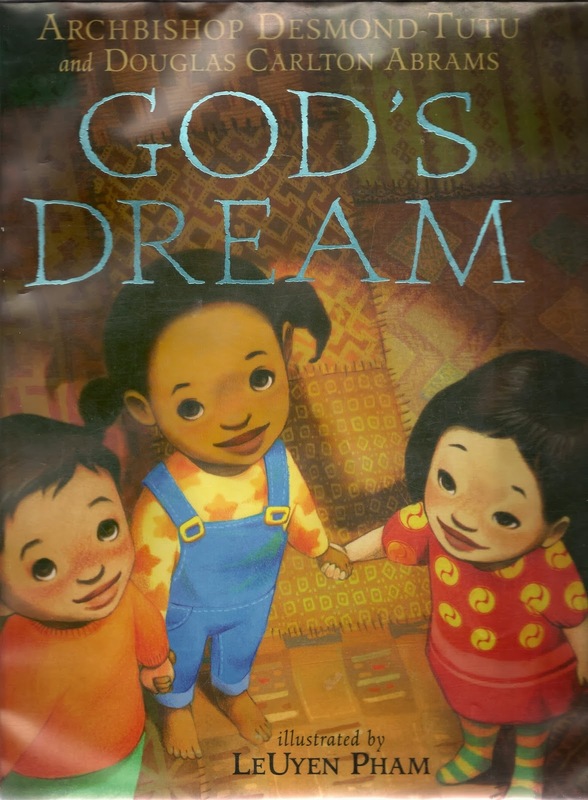 u Two well-known hymns that explore dreams and can be child accessible with a little help. God, your plan for the world is my plan. No one is more important to me than You are. You have the best ideas to think about. Whether I am awake or asleep, You light up my world. 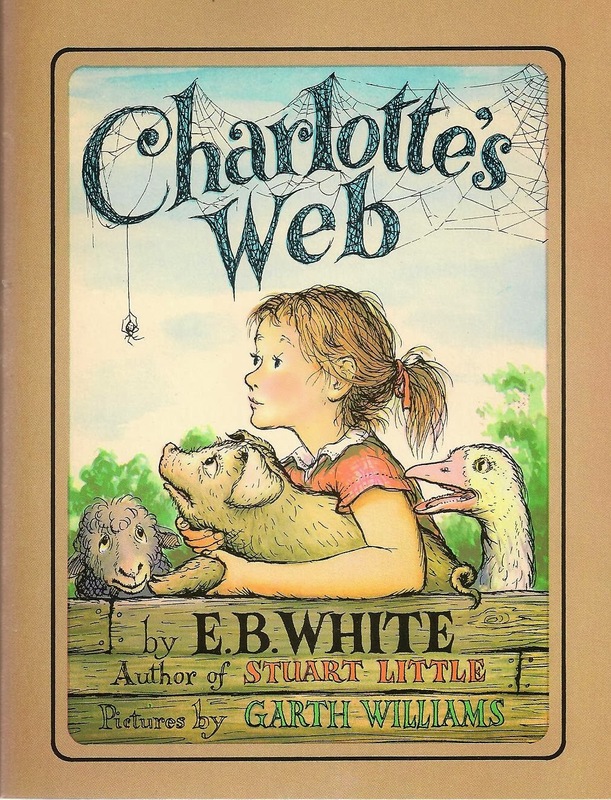 Before singing “Open My Eyes That I May See” read through the repeated chorus challenging young readers to join in on that for sure. Point to “illumine me” putting into phrases such as fill me up with your vision, let me hear your message, and help me claim as my own your dreams for me and for the world. 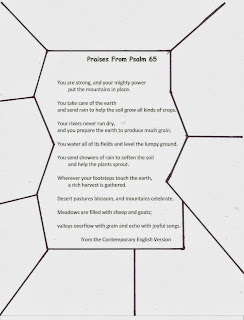 u There are so many random praises in this psalm that it is hard for children to follow them. They are most likely to hear one or two that make sense to them. One way to focus their attention on one or two of these phrases is to provide them with a page with the words of all or part of the psalm printed in the middle. 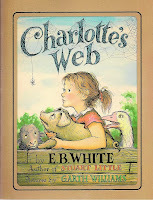 (Choose a translation such as the Contemporary English Version which uses words children understand more easily.) 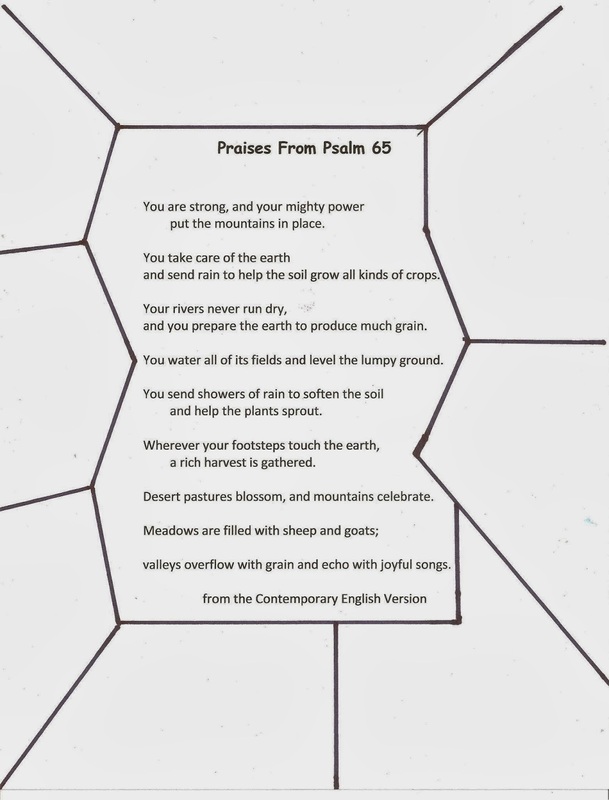 Invite children to illustrate the psalm by drawing in the margins things they read about in the psalm or that the psalmist makes them remember with praise. As they leave the sanctuary, take time to talk with those who worked on this project about what they drew and/or post their artwork on a special bulletin board near the worship space or outside your office door. u Even non-readers can join in on all the Alleluias in “All Creatures of Our God and King” – especially if they are specifically invited to do so. This text is for the adult Bible students. Several of today’s other texts speak much more clearly and easily to children. u Use this psalm to compare Halloween haunted houses to the house of God. Show a cardboard silhouette of haunted house. Together talk about what that house is like and how it would feel to go into it. 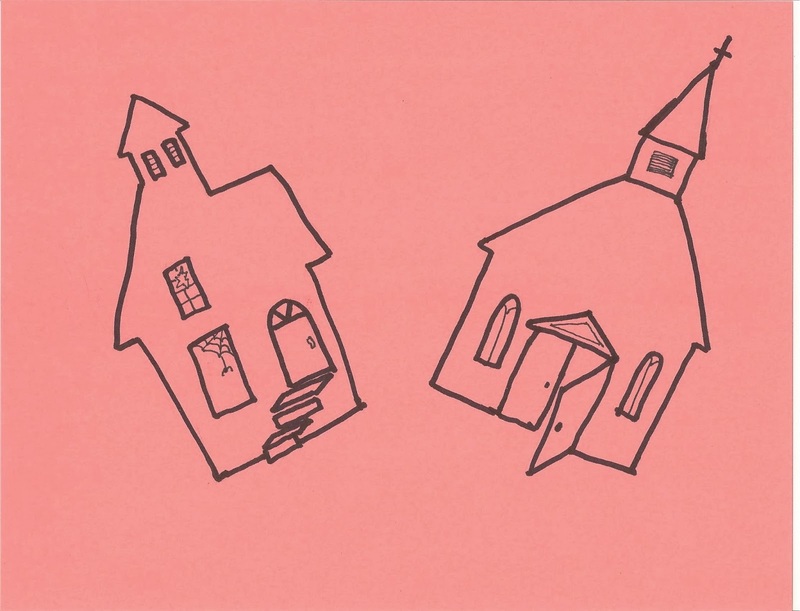 Then show a silhouette of a generic church. 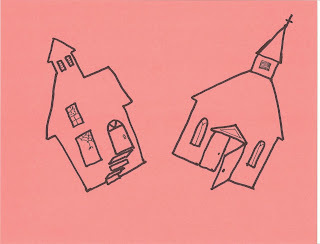 Read verses 1-7 challenging listeners to identify what is different about the two houses. Enjoy the differences and identify which house is better to live in. u Tell the back-story before reading this text. Invite listeners to imagine Paul sitting in prison in Rome knowing that he will probably soon be killed and writing his young friend Timothy whom he helped get started as a minister. Then read the message thoughtfully, imagining yourself writing the letter, pausing at points to search for the right words for what you want to say. “A little tired, perhaps. But I feel peaceful. Your success in the ring this morning was, to a small degree, my success. Your future is assured. You will live, secure and safe, Wilbur. Nothing can harm you now.”…. u Two basic truths underlie the meaning of this story: God loves us and we are all sinners. 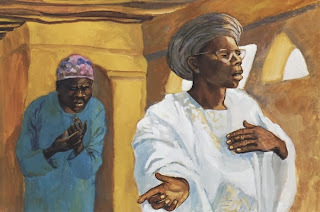 The Pharisee understands only one of them – God loves me. He sees only his strengths and good deeds and tells God all about them. It is a one sided conversation. The tax-collector however understands both of them. He is well aware of his weaknesses and sins. (Lots of people point them out to him regularly!) If that was all he knew, he wouldn’t be at the Temple at all. But he also knows that God loves him in spite of his sins. So he comes to God to confess and leaves OK with God. u To give the tax-collector’s prayer a physical reminder, put each truth in one hand then fold the hands together in prayer. Either use your own hands or invite listeners to use their hands. In either case, hold one hand palm cupped up to hold the truth that God loves us. Briefly describe God’s creation of each one of us with our special gifts and talents. Keep that cupped hand in place while raising the other hand up in the same position to hold the truth that we are each one of us sinners. Move your hands up and down in relationship to each other to note that on some days we feel more loved and lovable and on other days we feel more sinful. Then fold the hands together as if in prayer. Jesus tells his listeners to be honest with God. When we come to God honestly admitting our sins and trusting that God loves and forgives us, we are OK with God – and also OK with ourselves and the people around us. u Instruct people to look at the other people all around them in the sanctuary - the people in their families, their friends, the people they see every Sunday but who aren’t friends, and the people they do not know at all. Then tell them that every one of those people is a sinner. Each one says and does things that hurt others, themselves and God. Sometimes they mean to do those things. Other times the mean words and deeds just pop out. Even they are surprised at what they have done. Then direct everyone to look again. Point out that God loves every one of the people in the room. God made them and knows them, even the awful things they do, and God loves them. When we are honest with each other and with God about both the awful things we do and God’s love for each one of us, things work out OK. This is more powerful for both the children and the rest of the congregation if it is done as part of the Sermon because children are part of the whole rather than a “we” looking at a “them.” It also invites the adults to participate in the activity rather than observe it. You’re not as (good, fast, smart, pretty….) as me! Names that belittle – shorty, four eyes, pipsqueak, etc. Be ready to discuss what is hurtful about the names and labels and think ahead about how you will handle terms with racial or sexual connotations. http://diglib.library.vanderbilt.edu/act-imagelink.pl?RC=48268 [retrieved September 27, 2013]. u Read this scripture as readers’ theater with male readers. The Narrator may read from the lectern with the other 2 at center front. Or, all three may stand center front with the Narrator in the middle of the other two. Or, the Narrator may be in the lectern, the Pharisee at center front and the Tax collector off to the side. Narrator: Jesus told a story to some people who thought they were better than others and who looked down on everyone else: Two men went into the temple to pray. One was a Pharisee and the other a tax collector. u Use the prayer of the tax-collector “God have mercy” as an opportunity to look at the use of “mercy” in your weekly prayers of confession. Practice the Kyrie or whatever you sing at the conclusion of prayers of confession, translating it if needed. Set it in the pattern of ritual – I’m sorry, Forgive me, It’s OK (I won’t treat you as you deserve given what you have done.). Jesus Loves Me does not use the word mercy, but it is a song the tax-collector could have sung. Imagine him singing both the well-known first verse and the less known verse below. Then sing both verses - perhaps as a response to the confession and pardon ritual today. When I do the things I should. Even though it makes Him sad.